Mid-2017 the Schaeffler Group announced the start of an E-Mobility department within its Automotive division from January 1, 2018 as Bike Europe reported. Schaeffler Technologies stated that “all products and system solutions for hybrid and purely battery-driven vehicles will be combined.” The new business division is based in Bühl, home of Schaeffler Group’s new Automotive headquarters. Next to competitor Bosch and others, Schaeffler Group is the next automotive supplier who made the strategic move to focus on e-mobility. “We are very pleased to welcome Jochen Schröder to our company,” said Schaeffler Group’s CEO Automotive OEM Matthias Zink. “His experience in the various categories of electric mobility will provide the perfect basis for a successful start of our new E-Mobility business division and thus contribute to outline tomorrow’s mobility”, Matthias Zink said. The 46-year-old Jochen Schröder will officially start in his new position on 1 April and report directly to Matthias Zink. 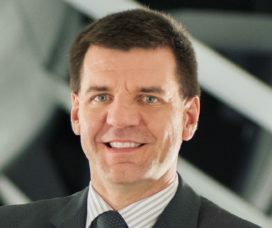 Following a successful career of more than 15 years at BMW, during which Dr. Jochen Schröder held various management positions in system design and advanced engineering of electric drivetrains and vehicle energy management, he started as CTO at Valeo Siemens eAutomotive GmbH at the end of 2016. As executive manager he was responsible for global R&D activities.